Are you a materialistic person? Do you use material and physical goods, such as money, luxury items, car, and property to feel happy? These physical goods can be anything, including what seems like daily necessities, such as your mobile phone, camera, mp3 player, and clothes. Materialism has become a trend in our society. Just look at the constant, growing fixation on earning more money and owning material goods. At the same time, we are now materially better off than we have been, looking at our all-time high consumption of mobile phones, computers, and cars. Based on that, you would think everyone should be happier today than ever. But, are we? Apparently, it’s not so. In The Affluent Society, author John Kenneth Galbraith claimed that despite society’s increasing wealth, people are not happier. In fact, they are now unhappier. He claimed that materialism has bred discontentment. I first read about this during a marketing class in college, when I was 20. At that time, I thought the claim was ridiculous. I used to be quite materialistic then. 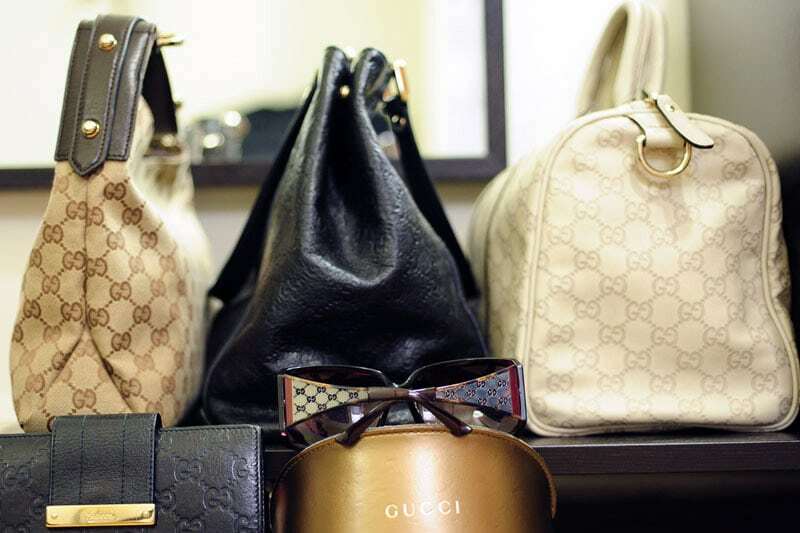 By materialistic, I don’t mean hungering for branded goods like Gucci, Prada, etc. — I never cared for such stuff — but being focused on buying things, getting new clothes/shoes/etc., which is materialism in itself. As a teen, I was frequently shopping with friends and checking out the latest fashion trends. Having grown up in Singapore, which became very materialistic over the years, I aspired to earn more money and get material goods such as a convertible and a large property. After all, I was taught by teachers, schools, media, etc. that they were the most important goals to work for, something that I shared in my purpose story. When you live in a city with extravagant shopping malls everywhere and billboards of fancy clothes, food, and things to buy, these become the things you aim for by diffusion. This was the same for those around me. Everyone around me aspired to earn more money and own material possessions like new clothes, new makeup, a car, etc. as we believed they would improve our lives. This was further reinforced by my personal experience — as a teen, I would feel happy when I got a material item I had been yearning for, and this was so for my friends too. Having more money meant having the means to get the things that I wanted. Having more money meant being better off than if I had less money. Intuitively, you would think that people with huge wealth and material possessions would be happy. After I started living more consciously in 2006, I began to question the role material goods play in our lives. For example, I used to feel great gratification whenever I acquired a material possession I had been longing for. However, this gratification was usually fleeting. It was a matter of time before I would look at the same thing and not get that same reaction. This time would range from a day to a year, but usually shorter than longer. I never thought much about this and just continued acquiring more things to feel happy. I just thought it was normal — society is evolving, my needs are changing, I’m earning more money, and hence I have higher expectations to keep up with. However, the act of acquiring more became a cycle, to the point where I couldn’t help but notice something was amiss. It felt strange. If these material possessions supposedly make me happy, why do I have to keep getting more to be happy? After much reflection, I started to understand what Galbraith meant by “materialism breeds discontentment.” It turns out that Galbraith wasn’t crazy like I had thought — he was really smart to identify this problem way back in 1958. I imagine that materialism was a budding problem back then, but it has evolved into a full-scale phenomenon today. It is precisely the act of materialism that prevents people from becoming truly happy. In fact, materialism causes people to be unhappier in the long run. If you are hearing this for the first time, this concept may seem absurd. I will explain what I mean for the rest of the article. When you probe deep into our desire for material possessions, you will find many false beliefs. We look upon material possessions as a bridge to our ideal lives, to increase our happiness, to improve our life satisfaction, to boost our confidence, to feel more attractive, and so on. We see material goods to improve our quality of life. It seems our problems will disappear or be reduced with these material goods. Material possessions have turned into symbols of hope and joy. However, these symbols are no more than just artificial creations by people. Advertising has a large role to play in that. As someone with a Marketing background, I’m in a good position to speak about this. Marketers invest billions a year in ads which create these linkages in our mind. Without them, we would not associate these material possessions with these positive emotions. So how do marketers do it? First, they use market studies to identify your dissatisfactions which can be low self-esteem, loneliness, dissatisfaction with work, unhappiness in life, etc. They also create an image of your aspirations — love, happiness, acceptance, self-worth, and more. They design marketing strategies that link their products to this ideal image. Whether this is true or not is something to be challenged. Let’s say X company has a skincare range. Their target audience is women from 25 to 35 years of age. They find out that in today’s world, women of this age group are fearful of not being good enough. They address this fear by having control: control in their career, romance, and life path. X company then creates a marketing campaign about how their skincare range is for modern women who want control, because their products can help them control their skin’s aging process, which gives them control in their life. This product-image linkage is conveyed in all aspects of marketing: from product design to packaging to advertising. In advertisements, the visual look, audio cues, and television commercial scripts are consciously crafted to convey this message. All products have this product-image link created in advertisements, especially for brands driven by image (meaning luxury brands). Some examples are cars, fashion products, phones, cameras, perfumes, and even properties. It can also apply to household brands such as shampoo and toiletries. Every brand has its own personality. Ask the average modern person what he/she thinks about Nike, and you will get adjectives like “just do it,” “freedom,” “liberty,” and “empowerment.” Or if you ask someone what he/she thinks about Apple, and we are likely to hear things like “being different,” “cool,” and “stylish.” Would people have this association if they were never exposed to these brands or their marketing? For example, ask someone from a tribe in Uganda, who has never seen modern advertisements — would they have such thoughts about these brands? Most definitely not. Think about other brands you often see and examine the thoughts and feelings you get from them. Would you have these thoughts if you have never been in contact with their marketing? As people get exposed to these marketing stimuli, the product begins to represent a certain image in their minds. People with aspirations similar to the product’s image desire to own it. These people work hard to acquire these possessions because owning them makes them feel like they are working on their problem. When they eventually acquire the possession, they feel happy, albeit briefly. However, when you probe deeply, materialism prevents people from being truly happy. It is a catch-22 where the very reason that created the situation prevents it from being solved. When it’s time for a new product launch, like perfume variant #284 or lipstick color #583, marketers start to link people’s aspirations and the promise of happiness/confidence/love/etc. with these new products. The end result? You become dissatisfied with your current possessions and seek to buy new things. You purchase these new items to be happy and discard your old products. This leads to the continuous cycle of purchase. While all these are happening, your issues never get addressed. They remain there, untouched. While you strive to buy material possessions to be happy, it keeps you from working on your inner issues. This is why materialism breeds discontentment. Materialism prevents you from addressing issues that will lead to real happiness. When you are materialistic, you base your satisfaction on material possessions. However, physical goods only act as a temporary placeholder to cover up your gaps. They are impermanent and external. They are not who you are. While the physical goods will change and be discarded over time, you don’t. You are the constant that remains. The issues will be there until you address them. Instead of looking outward at material goods, you need to address these issues from within. By hinging on material possessions to be happy, you are stuck in the loop of materialism. It’s tricky because you get a false sense of joy when you get something new or get more wealth, especially if your reason for acquiring it is for emotional than functional reasons. This false sense of joy reinforces your desire to get more of it. It becomes a form of subconscious conditioning, where the positive reinforcement you get from the initial purchase triggers you to continue the behavior to get more of the “reward.” Material possessions become your go-to solution to solve dissatisfactions and life problems. It becomes sort of like an addiction. The only way materialistic people can break the cycle is to step out of their belief system and examine the notion that material goods bring happiness. This can happen when someone keeps getting material possessions to be happy, only to notice that there’s no endpoint. Your moods become tied to your purchase of goods and wealth. Despite all the things you acquire, your feelings of dissatisfaction are always there, never going away. This dissatisfaction stays until you put a stop and decide that enough is enough. Many times, my probing led me to uncover insecurities I was not aware of. When my purchase desire is triggered by an unhappiness, I would instead identify how I could address this unhappiness from within, rather than buying the material good. This was very helpful in my self-discovery. During this time, I broke through the illusion that society and media keep enforcing — that material goods will bring us happiness. My emotional attachment toward money, clothes, accessories, and physical goods disappeared. What was left in their place was just the functional value of these objects. With the exception of what’s needed to get by in life, these material goods became nice-to-haves, where my happiness is not anchored on them. For example, I’m no longer interested in shopping. Whenever I pass by shopping malls with friends, I don’t have an urge to buy stuff. On the rare occasion when I do buy something, my gratification is never the same as in the past. I buy things for the functional value, not for the emotional or self-imagined value. I buy a new piece of clothing because I really need it, not to add to a collection of barely worn clothes. Same for shoes, etc. I have given away most of the stuff I don’t wear (use) and I barely buy new stuff now. Today, my relationship with material goods and money is totally different from in the past. This is liberating because I no longer base my happiness on my possessions. Whether my bank account has a lot or a little money, it doesn’t change the way I feel about myself. Whether I’m wearing fancy or simple clothes, it doesn’t change how I feel about myself. Regardless of what I wear or what I have, it doesn’t affect how I feel. Are there any material possessions you aspire to have to be happy? Why do you need them to be happy? What emotional benefits do you hope to get out of it? Each emotional benefit represents a certain gap in you. For example, if you want to buy something to be more confident, it means that deep down, you don’t feel as confident as you would without it. If you want to buy something to feel more attractive, it means you don’t feel as attractive without it. Instead of jumping to get that material possession, think about how to resolve this dissatisfaction from within. What can you do to resolve this dissatisfaction without material possessions? How can you attain happiness without material possessions?